Rumtek is a Tibetan Buddhist monastery nestled on a hill overlooking the Gangtok city. It was built in the 16th century by the 9th Karmapa Wangchuk Dorje and was destroyed later. When the 16th Karmapa was forced to move out of Tibet after the victory of China over Tibet, he decided to establish his main seat in Rumtek. Although it was in ruins he chose this place over the others and was determined to rebuild Rumtek monastry. What attracted him towards this site was its ideal location – gushing streams, mountains in the backdrop, a snow range in front and a river below. It was again built as a the main seat of this 16th Karmapa in exile. 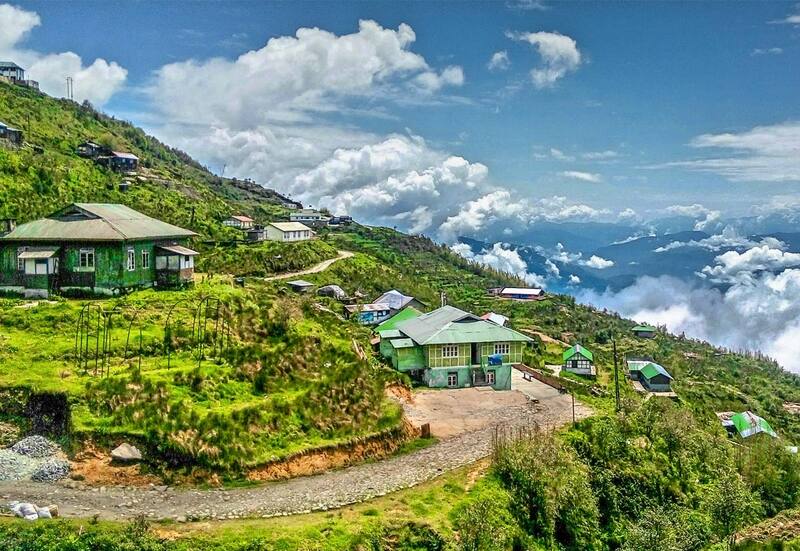 It is located only 24 km from the capital city Gangtok. Rumtek Monastery is the largest monastery in Sikkim and is a home to the monks community. The main temple has four stories with a golden sculpture(ghanzira) on the roof. The ghanzira is fashioned in such a manner that it reflects the five Tathagata(Buddha) families. The monastery is adorned with beautiful murals. Inside the monastery you can spot the four statues of the guardians of the universe – Virupaksha, Virudaka, Dritarashtra and Vaishravana. They are believed to guard the four directions. Do not be surprised if you spot a painting of Lord Ganesha(a Hindu deity). The reason is that in his vision the16th Karmapa saw the elephant headed god helping in building the monastery. The walls are festooned with the sacred paintings of the Kagyu lineage, the Eight Great Bodhisattvas, the sixteen Arhats and the Gendul Chogngi. Dungdrub Puja is one of the most important pujas held at the monastery during the fourth Tibetan lunar month. During the puja which continues for several days the monks chant one hundred million mantras. This puja is dedicated to world peace. Prayers are offered for happiness of the entire humankind. Several other pujas are also performed from time to time.